808 State have announced that they will be going on tour this year to mark their 30th anniversary. The pioneering acid house group formed in Manchester in 1987, releasing their debut LP ‘Newbuild’ in 1988. They have gone on to release six albums, with a seventh currently in the works. 808 State: 30 Live will see the outfit’s two founding members Graham Massey and Andrew Barker embarking on a nine date tour across the UK in November and December this year. 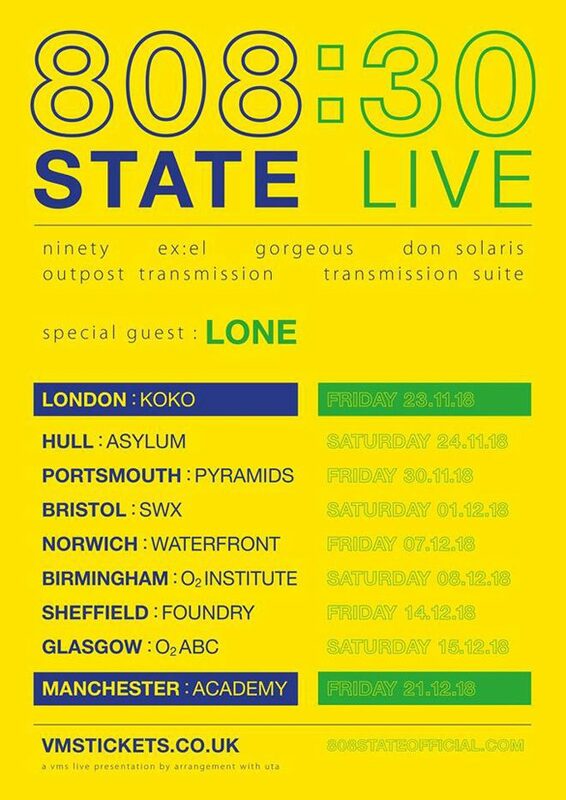 With the promise of new material being played along with cuts from their peerless back catalog, 808 State will be bringing this tour to London’s KOKO on November 23rd. They will stop in Hull, Portsmouth, Bristol, Norwich, Birmingham, Sheffield and Glasgow before finishing up with a hometown show in the Manchester Academy on December 21st. "808 State: 30 Live will be a brand new live show,” the band explained in an official statement. “Updated with new versions of material from all of our albums with a good dose of new material added from our new album we're currently working on, tracks from which will make their live debut." Joining the band for each date of the tour is luminary UK DJ, Lone. Tickets for 808 State: 30 Live are available now. Grab yours here. Last week, another legendary UK act –albeit of a different style – reclaimed the stage. Read our review of The Streets' reunion in the Brixton Academy here.